What inner skills do we need to live happily? 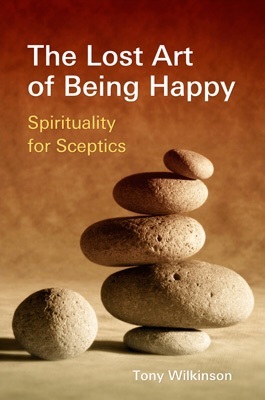 There are many answers, but the book develops an approach by looking at what can go wrong, at what spoils our happiness or frustrates fulfilment. In “Capitalism and Human Values” the development of the inner life by cultivating these families of skills is described as an advance towards “satisfied mind”. It is the basis of a value system which is both rational and humane. The important thing though is not to know some magic list, but just to have a reasonable system and then practice, practice, practice as our inner lives reap more and more benefits. These are the five families of skills we suggest. Vital for observing what goes on in the inner life and also to create inner stillness. The key to combating negative emotions like anger and hatred – can you be angry and happy at the same time? We need skills to deal with problems arising from our view of the world, including our view of ourselves. All descriptive language is story and our stories are often wrong and always partial, never the whole truth. If we can change the story, we can change our world. Includes some key elements for dealing with our reluctance to accept change, our attachment to the past (forgiveness for example is included here) and our fears about the future. Gratitude, patience, humour, playfulness – the positive side of appreciating and enjoying what we have instead of fretting about what we don’t.